Did the Missing Tajik Commander Just Reappear? Some reports say Gulmurod Halimov has been detained in Turkey. Tajik authorities are not so sure. 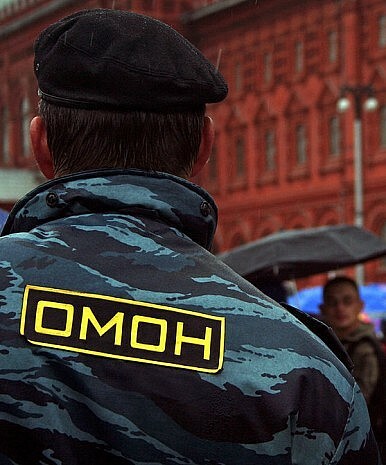 Earlier this week, a story began circulating in Tajik media claiming that Gulmurod Halimov, the OMON commander who disappeared at the end of April, had been arrested in Turkey and extradited to Tajikistan. Meanwhile, some government sources deny this while not necessarily dismissing the idea that Halimov may have gone to join ISIS. The colonel’s disappearance set the Tajik rumor mill into overdrive. A sensational theory emerged: Halimov had joined the Islamic State. A number of Halimov’s colleagues fueled this speculation, describing how he had developed an unhealthy interest in the terrorist group. Halimov had “become a fanatical follower of the Islamic State and began to spread its propaganda amongst his relatives,” one unnamed friend told Asia Plus. Sources have been few and Tajik officials have remained tight-lipped. But an Interior Ministry official broke the silence on May 11, telling the Ozodagon news agency that Halimov was on a business trip to Turkey. The next day, Asia-Plus reported that law enforcement officials had not yet established the whereabouts of Halimov and were pursuing various possibilities, including that he had joined ISIS. According to RFE/RL, Tajik Prosecutor-General Yusuf Rahmonov told reporters yesterday that authorities were investigating Halimov’s disappearance and that Interior Minister Ramazon Rahimzoda had denied that Halimov had been arrested and extradited. Last week, while RFE/RL ran a story based on interviews with Halimov’s family, who say they are certain he hasn’t gone to Syria, Asia-Plus quoted unnamed friends and colleagues of the missing commander claiming he had become increasingly interested in ISIS in recent months. Sound conflicting and confusing? It is. Last week I wrote that “it is unsatisfying, but true, to say that no one seems to really know” where Halimov is. That’s still true. It appears that most of the reports that he was arrested in Turkey emanate from the original TojNews story. The claim could very well be true, but we may not find out for some time — although Tajik officials have promised to make public the results of their investigation by the end of this week. The Tajik justice system is not renowned for its transparency and if Halimov has indeed been extradited back to Tajikistan he may disappear once again. Some have speculated that Gulmurod Halimov has left the country to join ISIS. His family says that isn’t true.